Retinopathy applies to any damage to the blood vessels of the retina. An eye examination at the back of the eye enables a medical professional to look carefully at a sample of blood vessels and detect early signs of complications linked to diabetes or high blood pressure and other conditions. This eye disease comes in two forms: diabetic retinopathy and retinitis pigmentosa. Diabetic retinopathy causes a significant decrease in visual acuity, increased sensitivity to light and a field of vision impacted by scattered scotoma (blind spots) due to retinal hemorrhages. This significantly impairs an individual’s vision. Retinitis pigmentosa most often begins between the ages of 18 and 30, with increased prevalence between 40 and 50 years. Retinitis pigmentosa is a genetic disease that results in dysfunction of the pigment epithelium and degeneration of the photoreceptors. 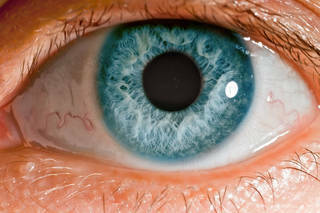 Vision is disturbed by pigment forming in the eyes and can worsen until a person becomes blind. The field of vision is gradually reduced to become “tunnel vision”. The patient retains his/her central vision but loses peripheral vision. So far, no treatment is known although encouraging research possibilities are emerging. 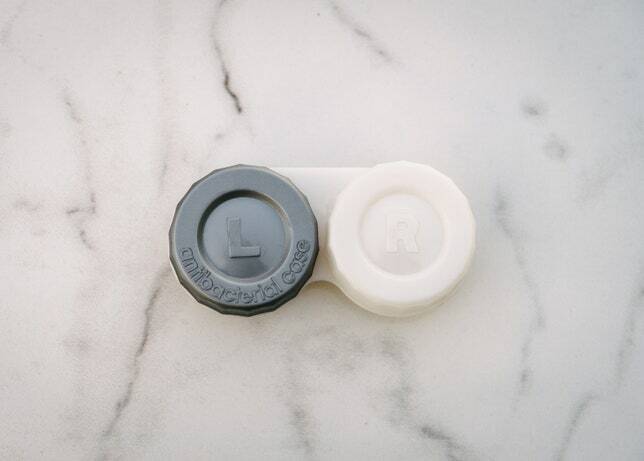 Real talk: if you’re a regular contact wearer, chances are you’ve fallen asleep in your contacts at some point in time (or maybe even a few times). We all know it’s not recommended by eye doctors, but why, exactly? What’s actually happening in your eyes when you sleep with your contacts in? When we sleep, we lose ambient oxygen exposure to the cornea, which is needed to keep the cornea healthy. We are still able to get it in other ways—like through blood vessels—but we are getting less than we do when we’re awake. “What a contact lens does is limit the oxygen even more because it creates a barrier between the oxygen and the cornea,” explains Wohl. “Some lenses—extended wear ones—allow the oxygen through though,” says Wohl, but if not enough oxygen gets through, you can experience what is called hypoxia (oxygen deprivation in a region of the body). You also increase your chances of developing an infection, because bacteria can get onto the cornea and when your eyes are closed, there’s nothing to flush it away. “The bacteria can then become opportunistic and literally start to eat away at your cornea,” says Wohl. “Worst case scenario from that is loss of vision.” Yikes! The end of daylight saving time next month will create a more dangerous evening commute as people find it harder to see on the streets, New York City officials say. The earlier sunset and darkness have been linked to an increase in the number of pedestrians killed or seriously injured by vehicles, according to an analysis by the city’s Department of Transportation of data from 2010 to 2014, the most recent years available. In the latest instance, a 58-year-old woman was fatally struck by a Metropolitan Transportation Authority bus on Friday evening as she walked in Lower Manhattan. The bus driver was arrested and charged with failure to yield to a pedestrian, according to the police. As a result, the administration of Mayor Bill de Blasio will announce on Thursday a new $1.5 million “dusk and darkness” safety campaign that will include radio and television advertisements, signs on buses, and billboards to warn drivers as well as pedestrians to be more careful, especially at that time of day. In addition, the police will target drivers during those hours who speed, fail to yield to pedestrians, text on cellphones or block bike lanes. The campaign is part of the city’s Vision Zero plan, a set of proposals that aims to eliminate fatalities and injuries caused by vehicles. This year, as of Monday, there have been 192 traffic fatalities, 114 of which involved pedestrians — the rest involved people in cars, bicyclists and people on motorcycles. In contrast, there were 177 traffic fatalities during the same period last year, of which 96 involved pedestrians. It is the first time that the city has adjusted traffic policy based on time and seasonal changes, though in the past, it has stepped up traffic enforcement at the beginning of the school year or during the winter holidays. Nationally, a similar pattern has emerged, according to Michael Flannagan, an associate research professor at the University of Michigan, who has studied traffic safety nationally. “You do see a big jump in pedestrian fatalities and injuries in the evenings in the fall when the change back to standard time makes the evenings suddenly darker,” he said. Dr. Flannagan added, however, that the increase was not caused by a disruption of sleep from the time change, but instead “simply because it was dark” and it becomes harder for drivers to see pedestrians. Conversely, in the spring, when the transition to daylight saving time makes the evenings suddenly lighter, there is a corresponding decrease in pedestrian fatalities and injuries nationally, he said. The city’s traffic analysis showed that between 6 p.m. and 7 p.m. during the week — the prime commuting time — the weekday hourly average rate of severe injuries and fatalities involving pedestrians rose to 2.44 in mid-December, or nearly triple the average rate of 0.84 in August. 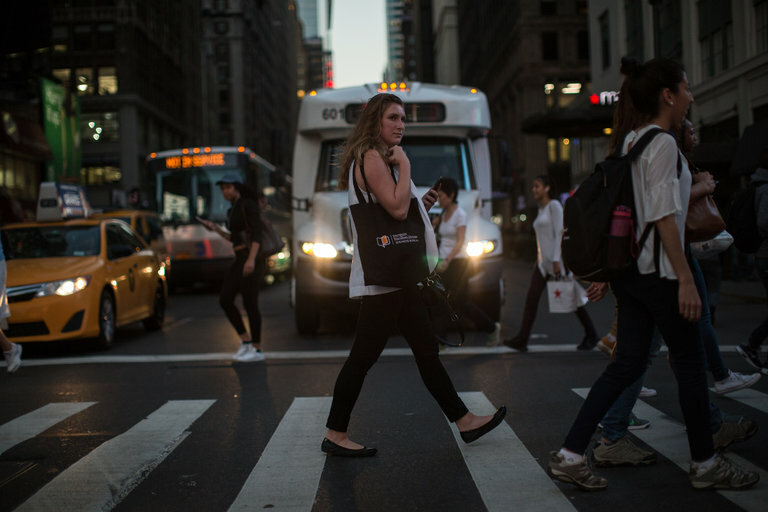 “It’s certainly much more dangerous at dusk both for pedestrians and motorists,” said Dr. Daniel M. Laby, the director of the Sports and Performance Vision Center at the State University of New York College of Optometry. Dr. Laby added that even people with normal eyesight could not see as well at dusk because the human eye does not adapt well to decreasing light. Vision becomes less sharp, with less contrast and depth perception. In addition, he said, there is typically more glare from uneven lighting as the sun sets, and more visual distractions compared with nighttime, when headlights help to focus attention. Amy Cohen, 51, a social worker in Park Slope, Brooklyn, said that, sadly, she was only too aware of the dangers on city streets at dusk. Her son, Sammy Eckstein, 12, was fatally struck by a van not long after 5 p.m. in October 2013 while retrieving a ball that had rolled into the street. Ms. Cohen, who helped found the advocacy group Families for Safe Streets, said that while she supported the new campaign, the city also needed to take more steps to permanently redesign streets and slow traffic, such as widening sidewalks, increasing the crossing time at traffic lights, narrowing driving lanes and installing traffic cameras that record speeding vehicles. “Education is a good start but much more needs to be done,” she said. The city’s traffic analysis found that dusk and evening crashes were often the result of drivers trying to make turns. In particular, there was a surge in severe injuries and fatalities from November to March, according to the analysis. “Through education and enforcement with our sister agencies, every driver needs to learn about the limited visibility of this season and the dangers of fast turns, especially in the evening hours,” said Polly Trottenberg, the city’s transportation commissioner. Ms. Trottenberg said the problem was underscored last year by a rash of nine pedestrian fatalities — three of which occurred during daylight hours — in the eight days after daylight saving time ended on Nov. 1. In total, there were 138 pedestrian fatalities in 2015, the lowest number since 1910. As part of the new safety campaign, city officials will seek to publicize the dangers of dusk and darkness through radio ads that are timed to run during the evening commute, and cards that will be handed out urging drivers to slow down, especially when turning, and to “look closely” since “more pedestrians are hurt in crashes around sunset than any other time.” Pedestrians are also reminded to watch for turning cars. In addition, the city is specifically contacting people at senior centers, and taxi and livery drivers. Vanity has a price, and when it comes to wearing tinted contact lenses, it’s the eyes that often pay the bill. Circumventing the doctor of optometry by purchasing contact lenses online can lead to bad habits and poor preventive health. “Bad actors will send more than a year’s supply of lenses to a patient, so the patient does not have a stimulus to see his or her doctor and get refreshed on all the proper techniques on keeping contact lenses safe,” says Dr. Sonsino. Nearly all of the potential dangers of contact lenses—rom using outmoded technology to maintaining poor ocular hygiene—can be mitigated with an annual, comprehensive eye exam. There are a number of eye conditions that can indicate cancer somewhere in the body, or even in the eye. Lung cancer in men and breast cancer in women often spread to the eyes before a diagnosis is even made. Many doctors also first discover basal cell carcinoma (skin cancer) hiding under the eyelids or within brown spots that appear in the eye. Autoimmune diseases like lupus, Chrohn’s disease or even some forms of arthritis can be diagnosed through the eye. If you are experiencing constant irritation and inflammation in your eyes (and yet you do not drink alcohol and you get a fair amount of sleep every night), the redness in your eyes can be a sign of inflammation happening elsewhere in your body, which is a common symptom of lupus. Other symptoms such as eyelid droop or dry eyes can be symptoms of Sjogren’s syndrome, an autoimmune disease that destroys moisture glands in the body. Also, drooping eyelids indicate gradual muscle weakness that can stem from multiple autoimmune disorders. Signs of high blood pressure and other cardiovascular problems can be found in the eyes. According to Web MD, if the blood vessels in the whites of your eyes begin to twist, narrow or balloon, high blood pressure is most likely the cause. High blood pressure is especially dangerous as it puts people at high risk of having a devastating stroke. Horner’s syndrome is a complication that often follows a head trauma, a stroke or an aneurysm that causes the pupils to become different sizes. Uneven pupils can also be an indicator of a tumor or growth in the neck area. Web MD has a list of circumstances that can cause this symptom. Regardless, if your pupils are uneven, this condition is a sign that something serious is happening to your body and should be checked out by a doctor immediately. Jaundice is a condition that causes the skin and whites of the eyes to gain a yellow pigment. Jaundice is caused by too much bilirubin (a waste substance produced by the liver) flowing through the blood. Hepatitis (the inflammation of the liver) or other liver problems may cause jaundice when the liver is struggling to remove adequate amounts of bilirubin from the body. Graves disease is a disorder of the thyroid that can cause the eyes to bulge and appear larger. This condition is triggered when the thyroid begins attacking the tissues in the eye socket. Protruding eyes are the most common sign of a thyroid problem. Diabetes does more than just affect your blood sugar, it can severely impact the small capillaries in the eyes. High blood sugar (the primary symptom in diabetics) can cause these blood vessels to weaken in the retina, which then causes excess protein to flow into the macula, (the part of the eye that is responsible for focusing vision). If blood sugar is not monitored and properly managed over the years, this condition can cause severe vision loss. 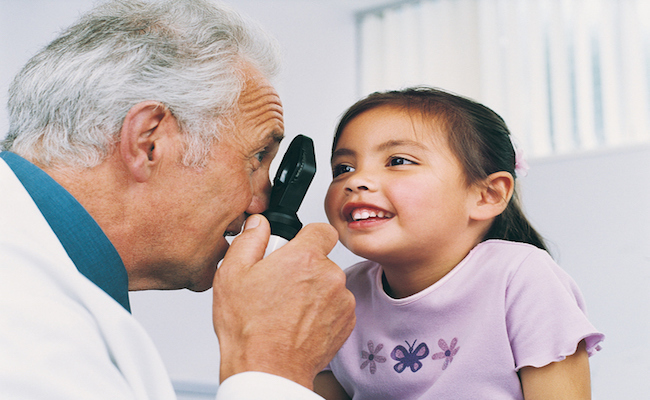 Another cardiovascular condition that can be diagnosed through a quick eye exam is high cholesterol. High levels of cholesterol can cause a gray ring to form around the cornea in the eye. High cholesterol can also cause small, yellow fat deposits to appear as bumps on the eyelids. Multiple sclerosis often causes inflammation of the optic nerve, which causes excessive blurred vision or sometimes no symptoms at all. Over 75 percent of multiple sclerosis patients exhibit this symptom; often times it is the first symptom of the disease that comes to light. If the inside of your lower eyelids are white or pale, it could indicate that your blood is lacking iron. Iron deficiency anemia is a common blood disorder that can usually be taken care of with oral supplements, but it can also be a sign of bleeding somewhere within the body. Whatever the state of your eyes may be, never take them for granted. They are far more than what they seem and could potentially save you a lot of time when you and your doctor are trying to determine a diagnosis for your symptoms. We are excited to announce that we are launching our in-house eyewear brand, “Envision”. These frames are 100% hand-made in Sabae, Japan by highly skilled Japanese artisans – and highly competitively priced so that our patients get maximum benefits of high-quality eyewear at a reasonable price. An eight-year-old Atlanta girl had such severe headaches that she awoke screaming in the night. 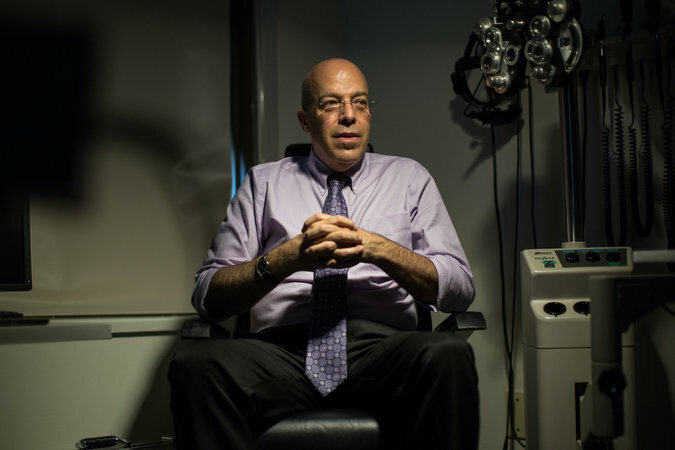 A doctor prescribed migraine medication, but decided a comprehensive eye exam was in order. The girl’s mother believes that decision may have saved her daughter’s life. The eye exam indicated there was swelling on the brain and that something might be pressing on the optic nerve tract. At the emergency room, imaging tests revealed a golf-ball-sized tumor. It wasn’t malignant, but treatment kept the girl in the hospital for a month. She has since recovered and is now attending second grade. In an interview with WSB-TV Atlanta, optometric physician Kristin Bender said that simple school vision screenings don’t catch potential health problems. American Optometric Association (AOA) President Andrea P. Thau, O.D., agrees. In an interview with Care2, she said while tumors of that type aren’t common, they can be life threatening. As the tumor grows, it squeezes and presses on the brain and can cause stroke or other loss of function. Thau said she once detected a pituitary tumor based on her patient’s vision. She said there are many other neurological and health problems that can be detected during a comprehensive eye exam, including multiple sclerosis (MS). Caveat emptor, the Latin phrase for “let the buyer beware,” means the onus is on consumers to make informed decisions about their glasses. However, when online deals or vogue makers take precedence as purchasing deciders, consumers can become myopic to the real issue at hand: seeing clearly. A new study illustrates the consequences. Released in a pre-print edition of October’s Optometry and Vision Science, a University of Bradford (United Kingdom) study determined eye glasses purchased online were more likely to be deemed unsafe or unacceptable due to poor frame fit, appearance or inaccurate, one-size-fits-all measurements than glasses purchased at a brick-and-mortar eye care practice. “Participants preferred practice spectacles, ranking them higher on average than those bought online, and 79 (percent) stated that they would purchase their next pair of spectacles from optometry/optician practices,” the study notes. Online glasses retailers play to consumers’ sense of convenience, often likening the shopping experience to any other online retailer. Yet selecting glasses isn’t the same as buying a new accessory. Eyeglasses must be custom-fit, not only to comfortably suit a patient’s unique face, but also to meet his or her individual prescriptive needs. Our eyes are a direct extension of our brains. In fact, scientists estimate 60 percent of the brain is used for visual processing. That’s why it makes perfect sense that the devices used to regulate this visual information must be perfectly fit and properly selected, says Andrew Morgenstern, O.D., clinical consultant to the AOA. “If you view glasses this way then it seems quite silly buying them online without being properly fit or selected,” Dr. Morgenstern says. Patient education is paramount, which is why the AOA continues to generate public awareness about the pitfalls of purchasing such individualized products online—and doctors can, too. AOA members can access complimentary patient education brochures online to better inform their patients and community. These “Let the Buyer Beware” brochures provide a word of warning with statistics from an AOA study that reinforces the snares of online orders. Click here to see the AOA’s public awareness campaign regarding purchasing glasses online. Youth soccer participation has surged in the past 25 years, and so has the risk of getting hurt while playing it. A new study of children’s soccer injuries released Monday in the journal Pediatrics found soaring rates of concussions, broken bones, lacerations, torn tendons and ankle sprains since 1990. Part of the rise can be explained by increased awareness of concussion risks and higher reporting of head injuries, a trend that is common in most youth sports. But the data show that injuries like fractures, lacerations and sprains are also on the rise. That suggests that as more kids play soccer year round and the game gets more competitive, a child’s risk for injury has also increased. For every 10,000 children who played soccer in 2014, 223 of them sustained an injury serious enough to be treated in a hospital emergency room. That represents a 74 percent increase from 2004, when the injury rate was 128.5 injuries per 10,000 kids. Clearly, some of that rise results from more parents taking children to hospitals to be checked for concussions. But when the researchers removed head injuries from the data, they found that injuries still increased by 60 percent, to 191 per 10,000 kids in 2014, up from 119 in 2004. 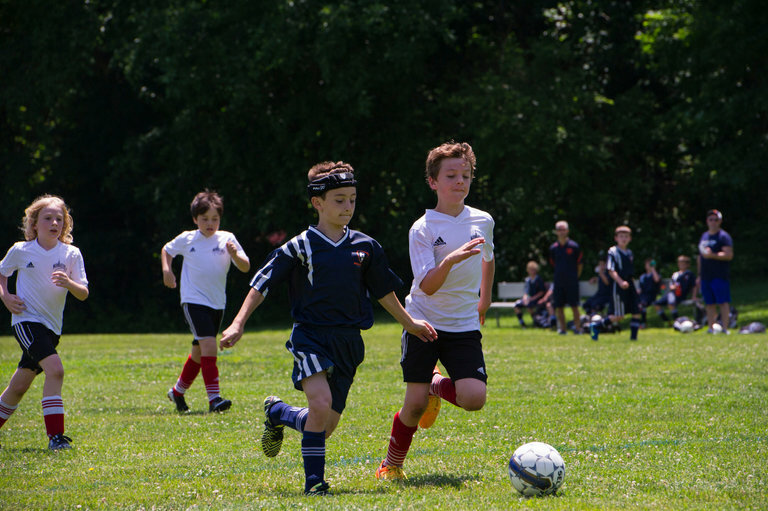 The data, from the National Electronic Injury Surveillance system and the National Sporting Goods Association, included children ages 7 to 17 who played soccer and had injuries that led to treatment at an emergency room between 1990 and 2014. The research is the first to evaluate soccer-related injury rates in such a wide age group over an extensive period of time. The most common injuries sustained by players were strains and sprains, followed by broken bones and soft tissue injuries. The data includes only hospital emergency room visits and does not count visits to clinics, care centers and injuries treated at home, so the actual number of injuries is higher. “Probably half of my patients are seen at an urgent care center first and the other half are seen at the emergency department before they see me,” said Dr. Daniel Green, a pediatric orthopedic surgeon at Hospital for Special Surgery in Manhattan, who said he has seen an increasing number of soccer-related injuries in children over the years, particularly anterior cruciate ligament (ACL) tears. In 2014, more than three million players were registered in U.S. Youth Soccer — which is up nearly 90 percent from 1990 — and high school soccer participation has more than doubled in that time frame. While there is no way to know exactly why soccer appears to be getting more dangerous, parents and coaches share anecdotal reports of children being encouraged to play more aggressively and less-experienced referees who are hesitant to call fouls and eject players from the game. Brian Hafter, of San Bruno, Calif., who has been coaching and refereeing girls’ youth soccer leagues for eight years, said he has noticed a substantial difference in the way kids play soccer now compared with how he and his sister grew up playing it. “There’s no question that nowadays the players are much more physical, challenging for the ball, and as a result, can put themselves and their opponents in situations that can lead to more serious injuries,” he said. Dr. Daryl Osbahr, who is the chief medical officer of the Orlando City Soccer Club and a consultant for U.S. Soccer, confirmed that the sport is causing more injuries. “We have younger athletes playing sports over the course of the year at a higher level, and those factors will result in increased injuries,” he said. He also noted that overuse injuries are common now because more children are specializing in one sport. Dr. Green, the pediatric orthopedist, said his own study of ACL injuries in New York State showed that in the past 20 years, there is a threefold increase in the rate of surgery for childhood sports injuries. One reason for the rise may be that soccer has become a more competitive sport and a path to college for talented athletes. As a result, more kids are playing on both school and club teams, as well as attending college soccer camps. “They’re going to become more aggressive the more opportunities they have to train and play competitively,” Dr. Green said. Liz Masterson, head women’s soccer coach at Rochester Institute of Technology in New York, has noticed the same evolution at the college level. “I definitely think the game has changed. As players are getting more competitive and they’re able to play with more force, there’s a greater risk for injury,” she said. Athletes today may also be getting away with bending the rules, which can lead to dangerous plays, said Dawn Comstock, a professor of epidemiology at the University of Colorado, Denver, who has also found a rise in the rate of concussions among youth soccer players in her research. “If you watch the World Cup game from 20 years ago versus the last World Cup, it does appear that the governing bodies of soccer have allowed the game to become more physical over time in a way that increases the risk of concussion,” she said.